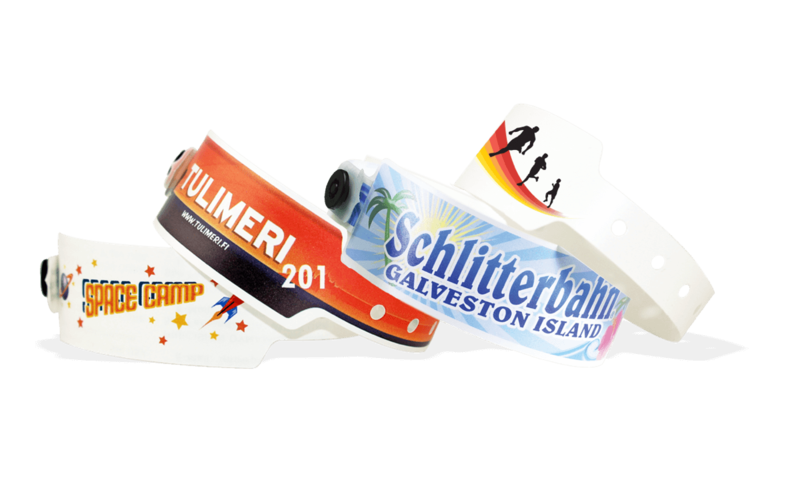 The photo quality printing on SureImage® wristbands provides endless possibilities for customisation! Our SureImage® 25mm plastic wristbands are our most creative wristbands! Add your picture or your logo in photo quality resolution or choose some graphics which reflect the atmosphere of your event.